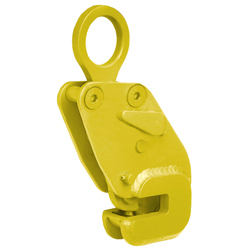 Lifting Clamps | Safety Clamps, Inc.
Vertical Lifting Clamps - Locking. 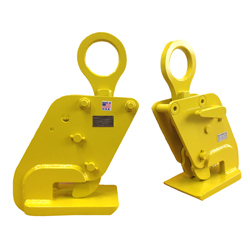 For vertical transfer of material, capable of lifting a single steel plate or object from horizontal to vertical before vertically transferring the material. 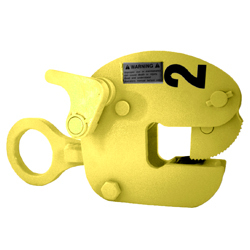 Locks open and closed, horizontal to vertical lift through 180° arc. 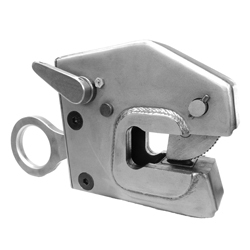 VL with a hinged lifting eye to allow for side loading up to 90°. 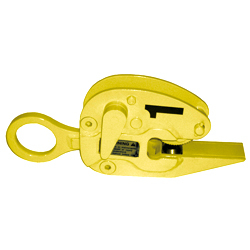 The Model VL with an Auxiliary Push-button Lock Handle. 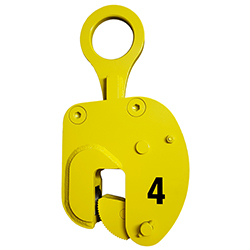 Compact design of Model VL for smaller jobs. 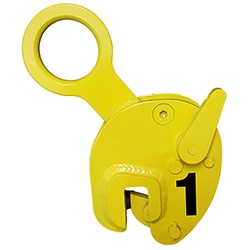 Same features as Model VL except it locks closed only. 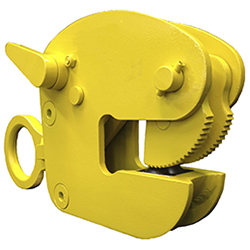 Extended lower wedge jaw for stacked plates. 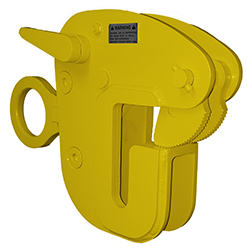 Special clamp designed for shot blast operations. 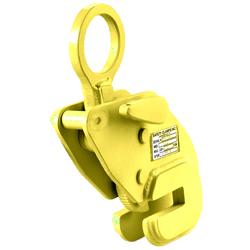 Designed to lift and transfer material in the vertical position ONLY. 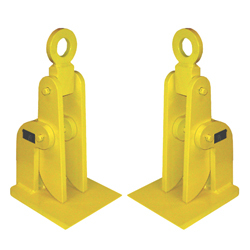 Do NOT use to lift material from a horizontal position to a vertical position. 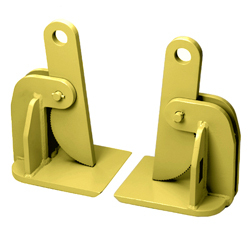 Non Locking Vertical Lift Only. 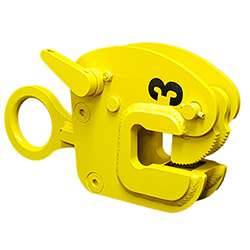 Designed to lift and transfer material in the horizontal position only. 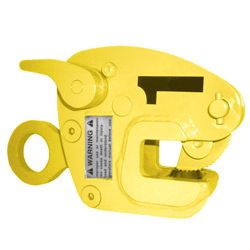 Locking mechanism helps secure the clamp to the material for faster loading and unloading. 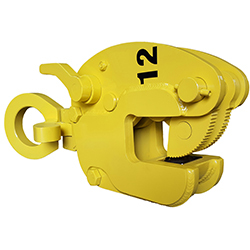 Designed to lift and transfer material in the horizontal position only. 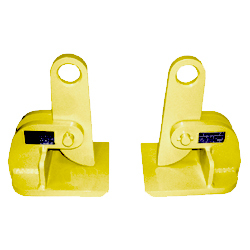 The models VL-Channel and VL-BC are designed for the vertical lift and transfer of structural shapes. 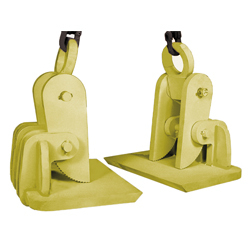 The models SBC and HBC are designed for the horizontal lift and transfer of structural shapes.